The Revo® Winch Spinning offers an ideal gear ratio for presentations requiring a more controlled, slower presentation. Even difficult to manage fluorocarbon lines are easily managed with its Rocket Line Management System™. So whether you’re throwing smaller crankbaits in cold-water conditions, swimbaits or spybaits, the Winch spinning reel with AMGearing™ is ideal for a variety of techniques. The Tern, Accurate’s first star drag offering, is perfect for anglers who want the lightest and smoothest star drag experience possible. The use of CVX technology allows for an incredibly lightweight, yet strong frame to take down the toughest game fish, while the TwinDrag allows for anglers to have confidence putting the pressure to the fish. By putting one washer on each side of the gear with friction plates, rather than a stack of washers on one side, anglers will experience an unmatched smooth payout of drag at every click of the ergonomic star that fits perfectly in your hand. Whether it is castablity, strength, or a smooth drag that you are looking for, the Tern is the ultimate star drag experience. The PENN® Clash Spinning Reels feature everything one would expect from a legendary fishing tackle manufacture such as PENN. Starting from the inside out, the gear train runs off our Dura-Gear technology which offers a more durable and long lasting gear. 9 sealed bearings keep everything in line and moving freely while an Full Metal Body eliminates twist caused by high drag pressure. Other features include a thick aluminum bail wire, slow oscillation system for superb line management, Line Capacity Rings, and a braid ready spool. 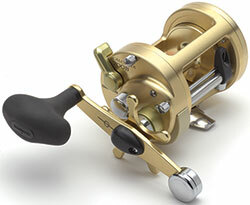 The Penn Slammer III Spinning Reel is back by popular demand. Built for heavy-duty fishing from either boat or shore, and trusted by charter captains all over the world. The Slammer III reels feature our new IPX6 Sealed System which keeps water out of the gear box and drag system. We're also using our updated Slammer Drag System which now utilzes our proprietary Dura- Drag material.